Measles, essentially vanquished by immunization from the United States by 2000, has returned with outbreaks in 15 states and 97 other countries. 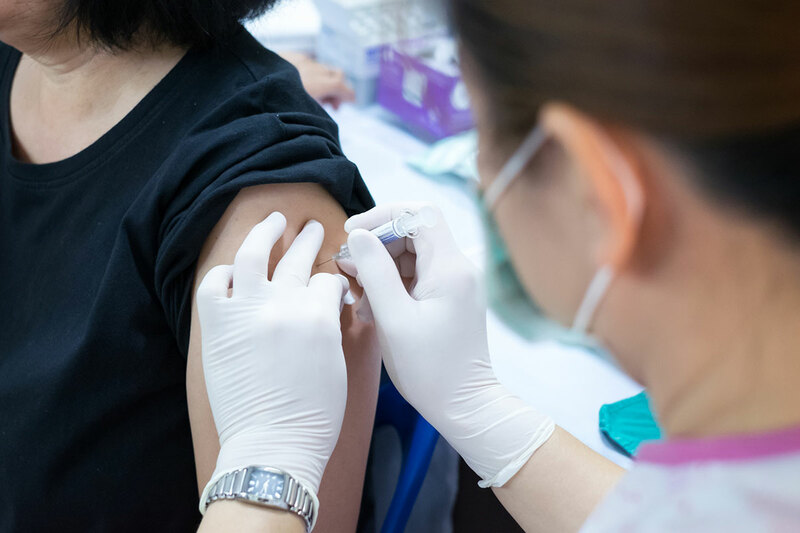 In the latest sign that the disease is becoming a growing health hazard, New York City declared a public emergency as it called for mandatory vaccinations in four Brooklyn ZIP codes. The outbreaks have been linked to parents who decline to have their children vaccinated because of a deep mistrust of the safety of vaccines. Much of this mistrust, unfortunately, is based on misinformation. 1. Vaccines contain dangerous levels of mercury. False. This concern originated with flu vaccines containing thimerosal, a mercury-based preservative. The mercury found in some fish, methylmercury, is toxic to the central and peripheral nervous system. But the flu vaccine contains ethylmercury, which does not stay in the body as long as methylmercury and thus does not reach dangerous levels. Thimerosal, once in the body, becomes ethylmercury and thiosalicylate, which are quickly processed and removed from the body. In 2001, thimerosal was removed from childhood vaccines. Thimerosal’s safety is back by several studies that have shown no evidence of potential harm. Some people, however, are allergic to thimerosal. Keep in mind that thimerosal-free flu vaccines are available in single-dose vials. Vaccines for measles, mumps, rubella, chickenpox, inactivated polio and pneumococcal conjugate have never contained thimerosal. 2. Aluminum in vaccines can cause Alzheimer’s. False. Aluminum salts have been used in vaccines for more than 70 years as an adjuvant — from the Latin adjuvare, meaning “to help” — that helps the body produce a stronger immune response. Because of adjuvants, people need fewer doses of vaccine to gain immunity. Some studies have linked high amounts of aluminum to brain and bone disease, but only when a person’s kidneys aren’t functioning properly. Vaccines, in contrast, contain scant amounts of aluminum that won’t effect the amount in the bloodstream. Note: babies always have about 5 nanograms of naturally-occurring aluminum in their bloodstream. 3. A vaccine can make you faint. True. This phenomenon has been reported among adolescents receiving three vaccines, HPV, MCV4 and Tdap. Because these vaccines have no common ingredients, researchers attribute the fainting to the vaccination process and not to the vaccines, says the Centers for Disease Control and Prevention. About 3 percent of men and 3.5 percent of women experience syncope, or fainting, at least once in their lifetimes, says the CDC. 4. Natural immunity is better that immunity via vaccine. False. Let’s take measles. If you’d rather become immune by contracting the disease, you’d have a 1 in 500 chance of dying from the symptoms. If, instead, you chose to get vaccinated, the chances of dying from that vaccine are less than 1 in 1 million. False. The suspicion about the possible dangers of the measles vaccine is associated with an article in the journal Lancet in 1998 by British physician Andrew Wakefield that linked the vaccine to autism in children. Although the article was debunked — Wakefield was subsequently banned from practicing medicine — parents in several areas around the country, still clinging to the vaccine-autism myth, have not allowed their children to be vaccinated. A 2013 CDC study supported previous research that vaccines do not cause autism spectrum disorder by comparing antigens, which stimulate the immune system to produce antibodies that fight disease, in the first two years of life. The study found identical amount of antigens from vaccines in children with autism and those who did not have autism. If you have questions or concerns about vaccines, talk to your doctor. If you’re in need of a doctor, please visit myhhcdocs.org.